A successful Israeli air strike against Iran’s military facilities inside Syria has resulted in China and Russia blaming each other for the humiliatingly embarrassing air defense failure. A Chinese-made JY-27 radar array in Syria was destroyed in an Israeli airstrike. On Jan. 20, the Israeli air force flew a sortie of F-35 fighter jets into Syria and destroyed an Iranian military training camp, killing 11 Iranian elite Quds Force troops, demolishing an Iranian intelligence center. The strike also destroye most of the air defense systems near the Damascus International Airport which was heavily guarded by China’s air defense radars and Russia’s air defense missiles. 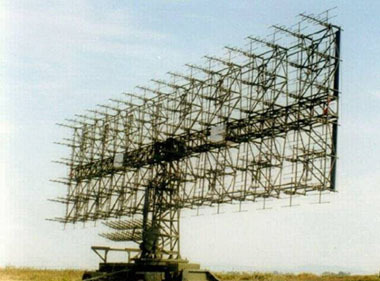 Russia’s media openly blame China’s JY-27 long-range air warning radar which was deployed at the site but failed to provide any early warning. China fought back by blaming Russia’s Pantsir-S1 air defense missiles for failure to hit the incoming Israeli F-35s. The charge against China’s JY-27 radar is particularly devastating because the Chinese government has been unusually vocal in boasting JY-27’s anti-stealth specialty.